Get ready to power up! Each evening at POWER UP VBS will be filled with high scoring, interactive experiences where you will be challenged to raise your game! Our event begins each night at 5:15 pm with a pre-event dinner for you and your family! Then, at 6:00 pm, kids will plug in and download for a memorable evening event! Register below and make your dinner reservations! Get ready to power up! 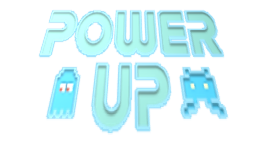 Each evening at POWER UP VBS will be filled with high scoring, interactive experiences where you will be challenged to raise your game! Our event begins each night at 5:15 pm with a pre-event dinner for you and your family! Then, at 6:00 pm, kids will plug in and download for a memorable evening event! Register below and make your dinner reservations! Does your family plan to attend the pre-event dinners? Please indicate which nights you will plan to join us for dinner. The Pre-Event dinner is served at 5:15 pm every night. Check if you'd like to receive information about other kids events.